Years ago I used to climb mountains. I guess I caught the bug when my parents took me to Mount Washington for a picnic when I was seven days old. No, I do not remember the visit, but hearing my mom tell the story over the years probably helped fuel my interest. I’ve hit the Matterhorn, Everest, Kilimanjaro and Denali. All great and challenging mountains to climb, but I eventually had to quit as coming down the mountains was getting too dangerous. 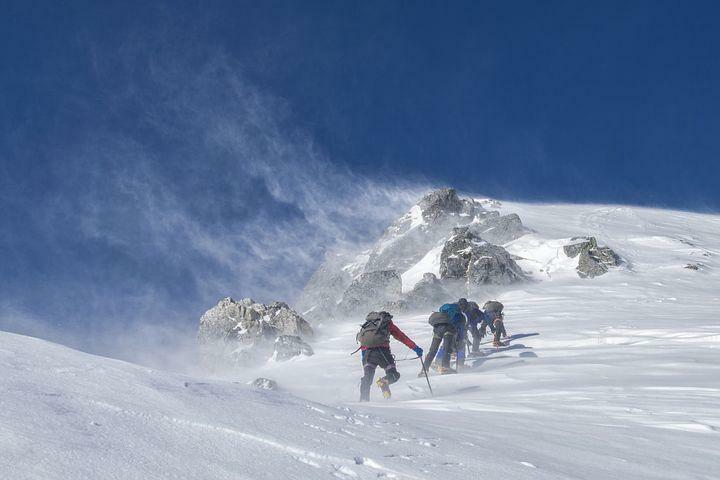 You may not realize it, but more people die descending mountains than climbing them. There are a variety of factors that play into this. Often, you are more tired coming down after using up most of your energy going up the mountain. Routes for the descent are often steeper than the ascent. When you fall going up a mountain you may only drop a few feet. Drops coming down are often much longer. A variety of additional factors make it more dangerous. I was reminded of this recently with a book I have been reading where the author compared taking money out of your investments for retirement is so much harder than accumulating the money in the first place. I could not agree more. You may have heard me say before that accumulation is rather simple – proper asset allocation, keep your fees and taxes low, and don’t do stupid s#*&. Retirement becomes much more complex. In retirement the three accumulation factors still apply (asset allocation, fees and stupidity), but the anvil hanging over the head of every retiree is the fear of running out of money before you run out of life. Let me highlight some of the most frequent conversations I have with clients. Asset allocation – Just because you are retired doesn’t mean you should move to all cash or all fixed income, unless you really are not planning on living long. Many retirees will be in retirement nearly as long as when they were working. Your asset allocation model needs to reflect this. Fees and taxes still matter. Of these two factors, taxes are probably more important. Taxes do NOT go away in retirement. They should be lower, but if you are not careful the tax bill can bite hard. It often comes down to RMDs (Required Minimum Distributions), especially after a few years. Remember RMDs are taxed like earned income. While your RMDs may be relatively low when you first start drawing them, the RMD amounts can increase as you age because of how they are calculated. I frequently talk with clients about starting to take distributions out of tax-deferred accounts before RMDs are applicable as you may be able to control for taxes better now and reduce future tax bills. Which account to draw from is often a common question. Many advisors advocate for waiting to take money out of your tax-deferred accounts (IRAs) until forced to. But each situation is different and every retirement income plan needs to reflect this fact. Finally, when is the best time to optimize Social Security? 62, 66, 67, 70? I shared an article recently how Social Security found out they were giving bad advice to many widows and widowers. My mom was a widow pretty young and I would hate to think she received bad advice. My point is it is not always as simple as starting Social Security as soon as you hit 62. Just as you need to be extra careful when descending a mountain the same approach needs to happen in retirement. Take the time to plan out your retirement income strategy and work with a competent CFP® who specializes in working with retirees. There are no do-overs in retirement. Oh, and I have never climbed any of those mountains, although the part about Mount Washington is true.